How often does your company test the oil that you use in your equipment? If you don’t do it nearly enough, you could be putting your equipment at risk. There are all kinds of problems that could arise if you don’t make it a point to test your lube oil. Take a look at how testing the oil in your equipment will benefit your company below. If you don’t test the oil in your equipment regularly, there’s a good chance that contamination could build up in it and wreak havoc on your equipment. Oil analysis is a quick way to see the health of equipment by looking at what’s in the oil. There are different types of oil used in different types of equipment. If you accidentally put the wrong kind of oil into a piece of equipment, it could cause problems. But you might not recognize it until it’s too late if you’re not testing your oil early and often. Oil analysis allows you to see whether you’re using the right oil in your equipment and prevents oil mix up from taking place. Maintaining your equipment is an essential part of your company’s success. If you don’t maintain them, they’re going to break down on you sooner and cost a significant amount of money. Oil analysis allows you to keep a close eye on your equipment so that you’ll know when they need certain kinds of maintenance. 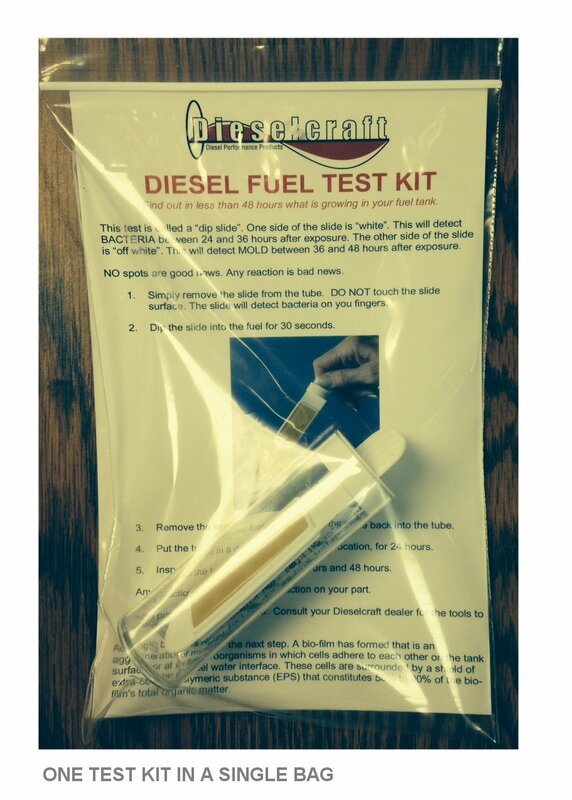 Dieselcraft can help your company carry out oil testing in your facility. We can set you up with everything from fuel and oil test kits that you can use on your own to oil and fuel laboratory testing. Call us at 772-215-8087 on the East Coast or 530-613-2150 on the West Coast to take advantage of our products and services.